MHZ40C, Modelling Combo Guitar Amp from Marshall in the Haze series. Marshall Amplification has introduced the new Haze line of compact and portable valve-driven performance amplifiers: the 40-Watt Haze combo (MHZ40C) and the 15-Watt Haze head (MHZ15). The Haze 40 combo is equipped with a single Celestion G12-66 Marquee 12" speaker. The Haze 15 head can be paired with matching single 12" Celestion G12-66 Marquee loaded cabinets (MHZ112A - angled; MHZ112B - base) as well. The preamp section is powered by three ECC83 valves (tubes). Both Haze models feature two channels (normal and overdrive) that share a three-band EQ; a Bright switch adds extra emphasis to the highs. A selection of retro-style effects offers Echo, Vibrato, and Chorus. An emulated spring-reverb is also included. Effect settings are retained by each channel for immediate recall during performance. All effects remain truly bypassed when completely off, providing a more direct signal path. 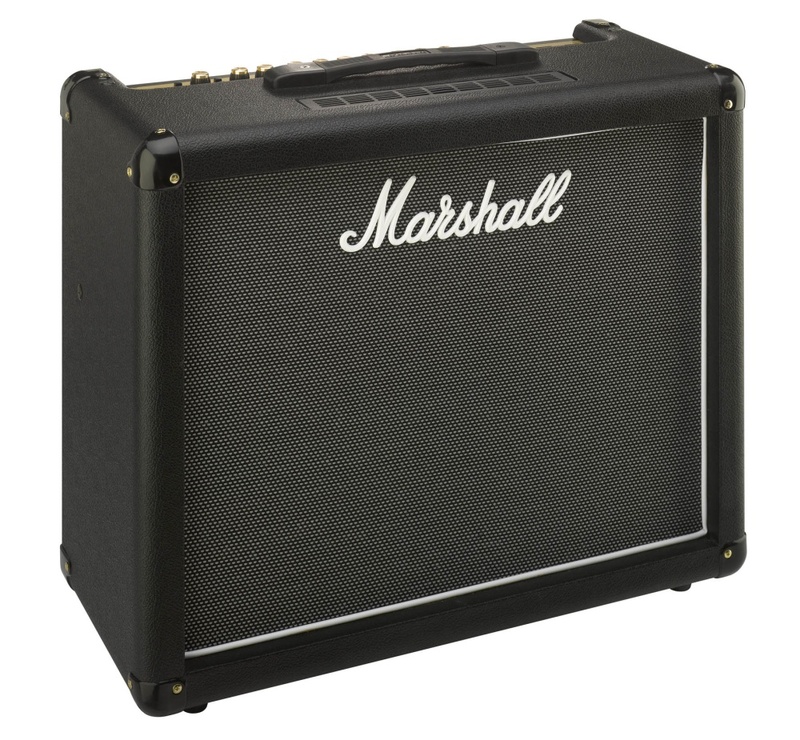 The Haze 40 combo features a closed-back cabinet has been modified with four circular holes to preserve the best aspects of both an open-back and a closed-back design, according to Marshall. The speaker is asymmetrically mounted, allowing for extended lows. This combo also features an additional presence control in the EQ, as well as a boost switch to add more depth to the low-mids. A bypass-able effects loop is also included. For recording or directly patching into a PA system, an emulated speaker line output recreates the speaker response. Power is provided by two EL34 valves. The Haze 15 head is powered by a pair of 6V6 valves. Two 8-Ohm and one 16-Ohm speaker jacks are provided. The matching MHZ112 cabinets feature finger-jointed construction and a closed back design. The MHZ112B is a straight style (base) design; the MHZ112A is the traditional Marshall angled (top) style. 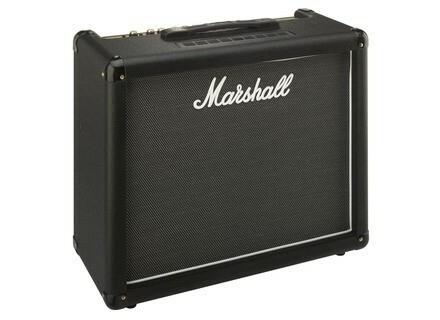 The Marshall Haze 40-watt combo (MHZ40C) and the 15-watt head (MHZ15) will be available July 2009 with respective MSRPs of $1000 and $840. [Musikmesse] Taylor Loaded Pickguards For SolidBody Classic players, Taylor Guitars has introduced new loaded pickguards. Aracom Amplifiers Vintage Rox Amplifier Series — Model VRX 22 The Aracom Vintage Rox — Model VRX22 incorporates a half power B+ voltage switch offering 22 and 10 watt modes, 2 channels, with separate Vintage and Modern voicing. [Musikmesse] New White Finger Electro-Harmonix has announced the release of the FET (Field Effect Transistor) White Finger compressor in a small, rugged XO die-cast chassis.